Nylon Media has redesigned its website from top to bottom, launching the enhanced version today. 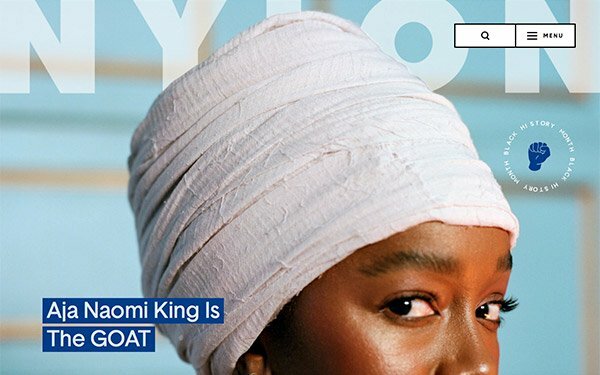 In 2018, Nylon undertook a series of design experiments that led to a 650% increase in engagement with an average of 13 minutes spent on digital cover stories. The newly designed publication is placing a premium on its cover stories going forward by applying those same principles to features and news stories to deepen engagement. “As with all of our digital products and content, we reimagined our nylon.com by listening to our audience and doubling down on the most engaging elements,” Evan Luzzatto, president of Nylon, stated. The redesigned site features episodic video content, editorial focused heavily on features, high-quality imagery and enhanced navigation that works across devices no matter their size in a user-friendly way. Pivotal to the redesign are Nylon’s tech partners, creative studio Zero Studios and CMS and creative agency RebelMouse. Zero Studios took on the creative and digital experience. The new design simplifies Nylon’s categories to fashion, beauty, entertainment and life, each with its own sub-branding. The site’s CMS comes courtesy of RebelMouse and allows the outlet’s editorial teams to uncover data natively within the platform that shows how posts are performing. A social media aspect gives the team deeper insight into connections between users and content. The redesign provides additional benefits for advertisers, who will find a clean space that features their banners in a manner that maximizes viewability. Prominent video modules deliver original and branded video to readers in a theatrical form, while a new polling feature allows brands to take advantage of real-time engagement with readers for immediate feedback. Luzzatto stated: “Most digital media sites today rely on clean, minimalist design elements that focus on function over form. If you scroll below the fold, you can easily forget where you are -- a big missed opportunity to create brand loyalty.